The iconic Grand Central Terminal was the center of a pivotal U.S. Supreme Court case which affirmed that the regulatory control of historic structures was constitutional. Grand Central Terminal was constructed from 1903 until 1913. The Beaux-Arts style train terminal at 42nd Street and Park Avenue was the result of a design competition. Prior to the competition, there were various incarnations of railroad depots in its place as early as the 1830s. The Grand Central Depot, designed by John B. Snook, was built as an L-shaped building in 1869 to house the New York and Harlem Railroad, the New Haven and Hartford Railroad, and the Hudson River and New York Central Railroad.1 By 1898, the building was insufficient for meeting the growing needs of transportation networks. This led William J. Wilgus, the chief railroad engineer, to propose tearing down the depot and constructing a new station in its place. The competition for its design was held in 1903 and won by the architecture firm Reed and Stem of St. Paul, Minnesota.2 They proposed a 22-story neo-Renaissance building equipped with ramps leading to the platforms. Whitney Warren, of the Warren and Wetmore architecture firm, proposed revisions to the original Reed and Stem plan. Warren and Wetmore were then commissioned to work in collaboration with Reed and Stem in 1904. Under Wetmore’s influence, the building was constructed in a French Beaux-Arts fashion, featuring a monumental main concourse. The interior ceiling was painted by French artist, Paul Cesar Helleu, and depicts the night sky.3 The main façade features a sculptural group by Jules Alexis, showing the mythological figures Mercury, Minerva, and Hercules. At the time of its construction, it was considered the largest group of sculptures in the world.4 William J. Wilgus acted as the chief engineer of the Grand Central Terminal and developed a bi-level station, since the new electric trains could be housed underground.5 This functioned to free up air rights for property development above the street. The proposed upper stories of the station were originally put on hold but were never built. By February 2, 1913, the station had officially opened. The construction of Grand Central lasted 10 years and cost $80 million.6 Grand Central Terminal was designated a New York City Landmark in 1967, and listed on the National Register of Historic Places in 1976. 1954: New York Central Railroad proposes a plan to tear down Grand Central Station and construct an office tower in its place. This decision further strengthened the New York City Landmarks Law, affirming that regulatory control of historic structures was constitutional. The Supreme Court's decision reflected the zeitgeist of the time in which protecting the aesthetic and historic integrity of buildings in American cities was for the public good. Ultimately, the Supreme Court's decision reverberated nationwide and served as a paragon for preservation legislation in other American cities. James Marston Fitch and Diane Waite, “Grand Central Terminal and Rockefeller Center: A Historical-Critical Estimate of Significance New York State Parks and Recreation Department: Division for Historic Preservation,” 1974. 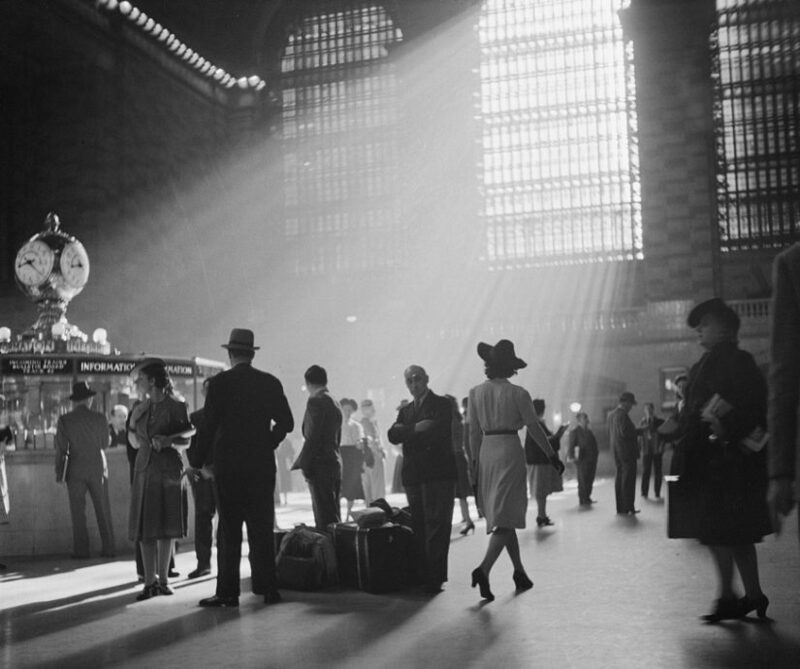 Carolyn Pitts, “Grand Central Station. National Register of Historic Places Inventory – Nomination,” National Park Service 11 August 1976. “Grand Central Terminal: Grand Central Station,” A View on Cities 11 February 2016. “Robert Young’s Latest Idea: Erect ‘Biggest’ Office Building in the World at Grand Central,” The New York Times, 18 September 1954. Anthony C. Wood, Preserving New York: Winning the Right to Protect A City’s Landmarks (New York: Routledge, 2007), page 138. Manager Keily, “Letter to the Editor,” The New York Times, 24 August 1960. Gordon S., Jr., “Terminal to get Bowling Alleys; Three Floor Center will be Built into Waiting Room of Grand Central,” The New York Times 4 August 1960. Anthony C. Wood, Preserving New York: Winning the Right to Protect A City’s Landmarks (New York: Routledge, 2007), page 265. Glenn Fowler, “Grand Central Tower Will Top Pan Am Building; 55- story Tower Will Rise 150 Higher Than Adjacent Pan Am Building.” The New York Times, 20 June 1968. “Celebrities Ride the Rails to Save Grand Central,” The New York Times 17 April 1978. PENN CENTRAL TRANSP. CO. v. NEW YORK CITY, 438 U.S. 104 (1978).